Barcelona, one of the most enchanting cities in the world, is one of those places where you’re never likely to fall short on things to see or do. It boasts of a beautifully preserved historic city center and its architectural wonders date back almost 2000 years. 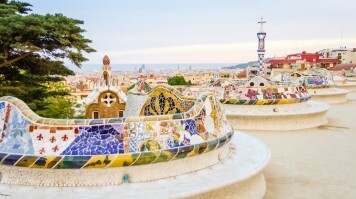 From the mystical genius of Antoni Gaudi (one of the greatest architects of all time) to unparalleled artworks by grandmasters such as Pablo Picasso, Salvador Dali and Joan Miro, the city really does have it all. Better yet, the fascinating art and architecture is beautifully complimented by a magnificent dining and drinking scene, a fabled culture and limitless possibilities. Here is a list of some of the top 12 best things to do in Barcelona. An ambitous project, Sagrada Familia is an attraction that, after more than a century, is still undergoing construction. Started in 1882, less than a quarter had been built by the time its famous architect, Antoni Gaudi died in 1926. Considered to be the most spectacular Gaudi creation of all, it is famous as one of the most visited buildings in the world. Filled with artistic allure at every corner, where Art Nouveau and Gothic designs battle for your attention, the architecture marvel should be on everyone's list when visiting Barcelona. If you are wondering when one can expect to see the building in its complete glory, mark your dates for the year 2026. Good to know: There are only a limited number of tickets sold for each day and it is often booked up days in advance. If you just turn up to buy a ticket at the entrance, the chances are you won’t be able to visit that day. To avoid disappointment, you should buy the ticket online at least a week in advance. While attending the opera at Gran Teatre del Liceo is perhaps the best way to absorb its grand ambience, it may not be feasible for everyone traveling to Barcelona. Hence, if you don’t have the time to catch an opera, it is still possible to visit the greatest opera house in all of Europe. 45-minute guided tours are available every hour, from 14:00 – 17:00 Monday to Friday and every hour from 11:00 on Saturdays. Prices are USD 10 for adults, USD 8.50 for concessions. Shorter, 30-minute tours are also available and take place Monday to Saturday from 13:00 at USD 7 for adults and USD 5.50* for concessions. Some of the main highlights of the Gran Theatre del Liceu are its ornate chandeliers, fluted columns, ceiling frescoes, and the Salo dels Miralls (Hall of Mirrors). Tours are available in nine different languages. Good to know: A fire ravaged the theater in the year 1994 which led to the complete destruction of the stage and the main hall. However, the theater has been painstakingly restored to its former beauty and a number of improvements have also been made. The Gothic Quarter once used to be an ancient Roman village and still features remnants of its rich and glorious past. With widespread modernization taking place in the area, ancient buildings and jaw dropping architectural wonders stand next to modern day constructions. This fascinating mix attracts people from all over the world. The area is full of numerous beautiful squares such as Placa Reial and Placa St. Jaume, where one can relax, get entertained and watch people passing by. It is also home to the iconic Barcelona Cathedral, which boasts a stunning courtyard that is always full of geese. Other things to do here include shopping, dining, drinking and partying. If you are a big on everything-Picasso, you'd also want to visit Els Quatre Gats, the place where Picasso used to hang out and also the place where he held his very first exhibition. 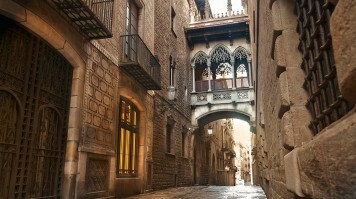 Good to know: A great way to explore the Gothic Quarter is to join a free walking tour. 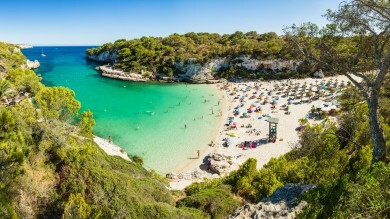 Local guides will take you to all the most important places, including the Roman walls and the famous Gothic Cathedral, as well as some points of interests most tourists probably miss. At the end of the tour, you just pay a tip at your own discretion if you enjoyed the experience. Montjuic Mountain is just about the perfect place for those wanting to enjoy a great walk without missing out on the views while in Barcelona. It boasts of spectacular surroundings and is also home to the Olympic Stadium as well as Jardi Botanic. Don’t forget to check out the Tres Pins nursery, where plants are grown for the municipal parks and gardens of the city. Another highlight is the Laribal Gardens, created by the popular French architect, Jean Claude Nicholas Forestier. 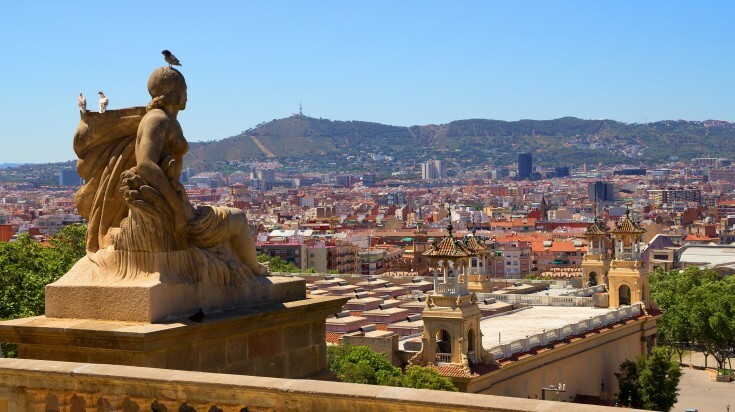 Good to know: If you want to explore Montjuïc properly, allow yourself a whole day. This part of town, where the 1992 Barcelona Olympics were centred, is home to two unmissable museums, the Museu Nacional d’Art de Catalunya (MNAC) and the Fundació Joan Miró. For some of the best views of the city, take the cable car (Telefèric de Montjuïc) up to the Castell de Montjuïc. Mercat de la Boqueria is considered to be the most interesting building on the La Rambla, Barcelona’s shopping street. However, it isn’t the modern architecture that demands your attention, it is the food market within, that makes Mercat de la Boqueria so famous. The market is spilling with unending varieties of cheeses, meats, sweets and sausages and is also dotted with unique eateries and gastronomic specialties. Some of the top items to try out at the Mercat de la Boqueria include bacallà salat, calçots, cargols and percebes. After visiting Mercat de La Boqueria, if you’re not up for cooking your own food, do check out the delicious tapas at Tickets Barcelona. 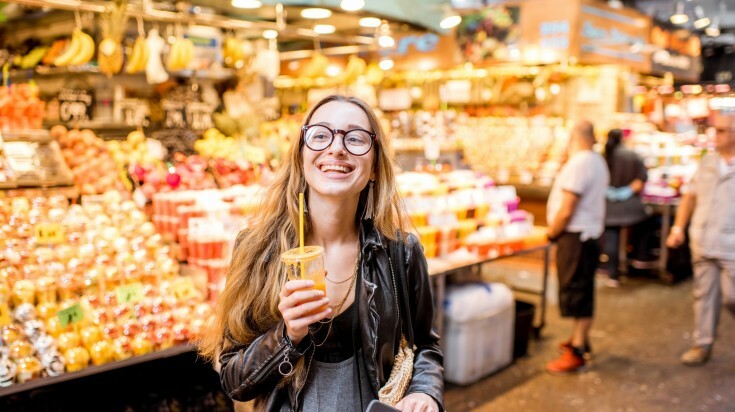 Good to know: If you go to the Mercat de la Boqueria with the intention to buy rather than just browse the astonishing array of fruit, vegetables, meat and everything else, make sure you shop around. If you go further into the market and don’t just buy from the stalls closest to the entrance, you are likely to find better deals. 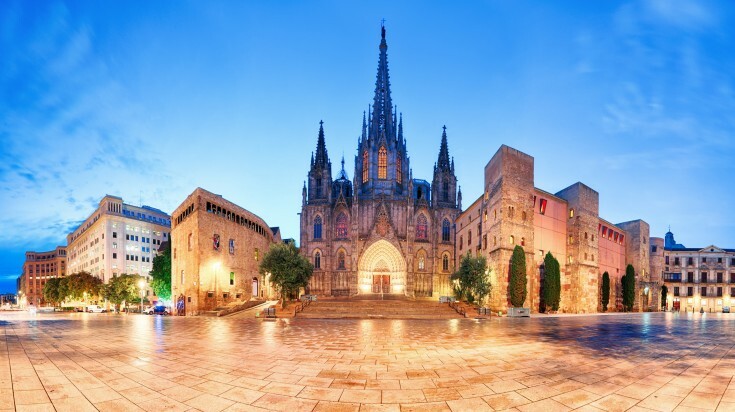 The Barcelona Cathedral, or La Seu, is one of the most beautiful Gothic buildings in the world. It stands almost in the center of Barri Gothic and is known to look particularly beautiful at night, when the façade gets illuminated. The church was named after the patron saint of Barcelona and is famous for its 14th century cloister, a central courtyard next to a beautiful Gothic portico. The cloister also offers access to a small museum that holds two extremely precious items, representing Santa Eulaia and a monstrance made out of solid gold. When inside the chapel, don't miss the crucifix inside that is supposedly magical. The locals believe that this crucifix was responsible for defeating the Turks in the Battle of Lepanto. Good to know: To visit La Seu, Barcelona’s magnificent Gothic cathedral, you have two choices. If you visit in the early morning or late afternoon, admission is free to the church interior and the cloister. However, much better is to pay to visit between 13:00 and 17:00 — the ticket will give you access to many more areas of the cathedral. If you choose this option, expect to queue during busy periods. 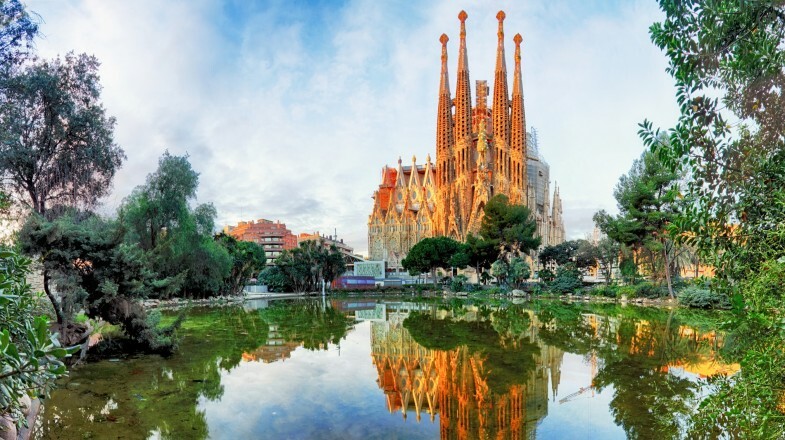 While the Sagrada Familia may be Antoni Gaudi's grandest project, he was prolific throughout his career, and many of his other works are also located in Barcelona. 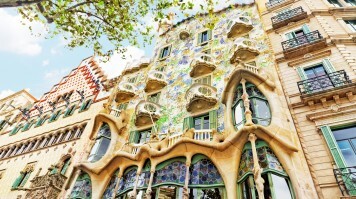 Casa Batlló and Casa Milà (also known as La Pedrera), both located in the Eixample, are two of the most striking. Most visitors to Barcelona also visit Gaudí’s Parc Güell. These attractions were built when Gaudi was at the peak of his career, and flaunts uniqueness and artistic ingenuity that he was known for. His works are testament to his influence on modern architecture, and while many have tried to follow suit and immitate his work, few have succeeded in matching his brilliance. Good to know: Since all of Gaudi's attractions are highly sought after, one cannot avoid crowds and queue at the ticket counter most times. If you do not want to queue up we recommend booking a skip-the-line-tour for all the Gaudi attractions. In case you want to take an independent tour of the attractions, it is important to remember that there are limited tickets sold everyday. Hence, it is highly recommended to reserve tickets online in advance to avoid disappointment. Barcelona’s Picasso museum houses what is considered to be one of the world’s most important collections of the Malaga-born artist’s work. 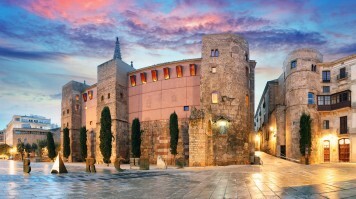 The setting alone makes the museum one of the top things to do in Barcelona. Beautiful galleries, fascinating courtyards and fantastically preserved staircases set the perfect tone for all the wonders that the museum holds in store for you. The museum hosts close to 3,500 artworks created by the great legend, and mostly concentrates on Picasso’s initial years. However, the museum doesn’t contain any of his most famous pieces, so don’t expect to see his most iconic paintings — this collection is more about Picasso’s development and progression as an artist. Good to know: The museum is closed on Mondays but is free to visit on Thursday afternoons, 18:00 – 21:30, as well as the first Sunday of each month, 9:00 – 13:00 — but at these times, expect it to be extremely busy. FC Barcelona is one of the world’s biggest and most successful football clubs, and at the team’s home, the near-hallowed Camp Nou, you can live and breathe the club’s rich history. Some of the greatest football players of all time have pulled on the famous jersey, including Brazilian trio Ronaldo, Rivaldo and Ronaldinho, Portuguese legend Luís Figo and, of course, current superstar Lionel Messi. For many, Barça is synonymous with the city, and no visit would be complete without a trip to the stadium. Good to know: Many guided tours of the stadium are available. The basic tour currently costs USD 33.50, but the ‘Players Experience’ tour, the only option that allows you to see inside the players’ dressing rooms, costs USD 157*. There is a slight reduction in price for booking the basic tour online through the official website — the Players Experience tour is available only by booking online. At the opposite end of Las Ramblas from Plaça de Catalunya lies Port Vell, the Old Port, an area that has been completely transformed in recent years into a glitzy, upmarket waterfront full of modern restaurants and bars. Check out the Mirador de Colón, the statue of Christopher Columbus pointing out to sea in the direction of the New World and visit the Museu Maritím to learn about the long tradition of seafaring in the city. Also, don't miss l'Aquàrium, which houses over 11,000 fish and features an 80m underwater tunnel. Good to know: The wooden walkway which makes up the Rambla del Mar and that leads to the Maremàgnum restaurant and entertainment zone is a great spot to visit in the evening after sundown. At this time, it is a bustle of activity and lights, offering some fine views of the city lit up on the other side of the harbour. 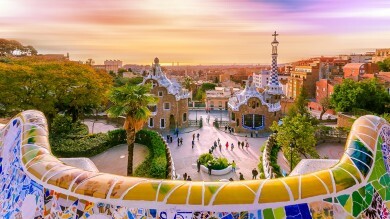 Barcelona is one of Europe's most vibrant, most exciting cities, combining the old and the traditional with cutting-edge modernity. Whether you are looking for fantastic food, pulsating nightlife, art, architecture, culture, history or just a city break with the chance to chill on the beach, Barcelona really is a place that has it all.